This cute cat girls one piece swimwear is a best choice for summer surfing,beach holiday, bathing and swimming. 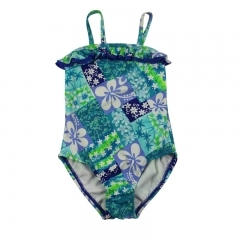 Green floral one-piece swim costumes for little girls. Orange skirted girls swimsuits with watermelon features. 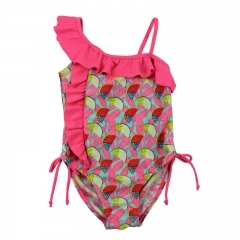 Watermelon pattern one-piece girls swimwear with ruffles featured.